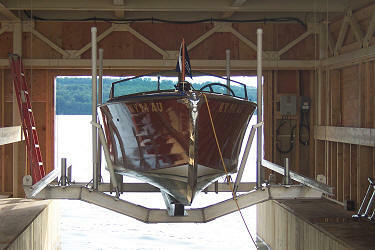 RAM of CNY is the authorized Central New York Dealer for Hi-Tide Boatlifts and Personal Watercraft Lifts (PWLs). 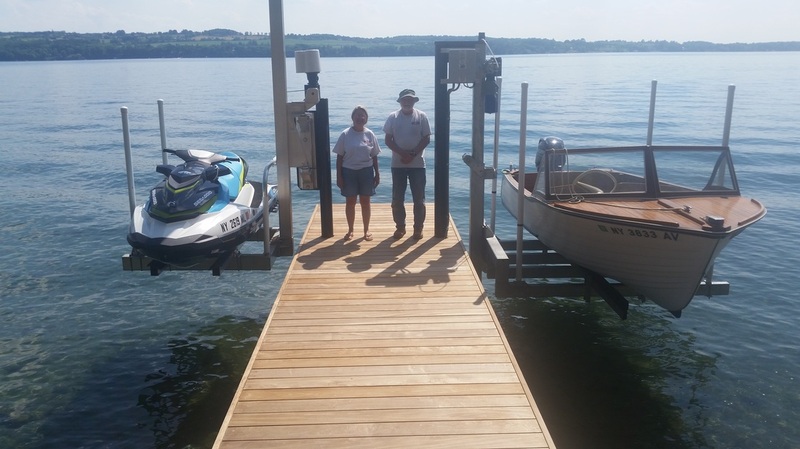 Hi Tide is the manufacturer of the first aluminum boat lift, the RoliftTM, and has continued to improve and develop the most extensive product line available today. 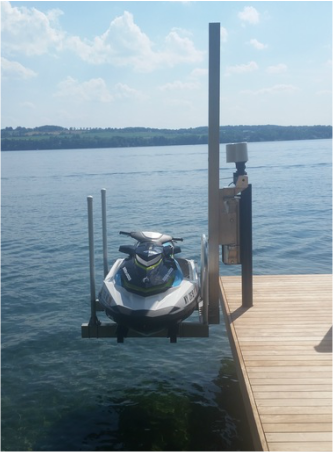 Hi Tide produces a variety of lifts in capacities from 650lb. to 120,000lb. 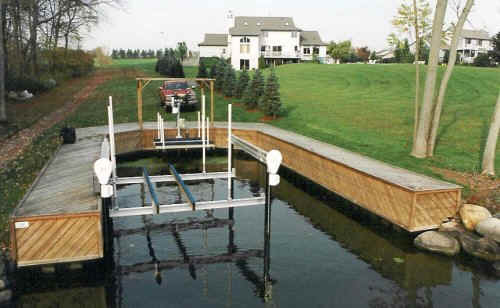 We install and maintenance these boatlifts. 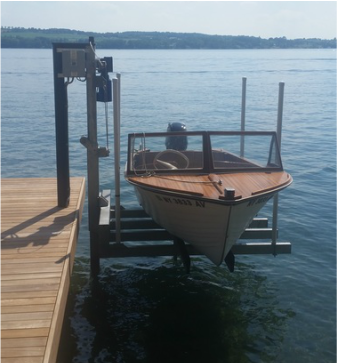 The addition of a boat or watercraft lift extends your boating season, protects your craft from damage, and keeps it clean. 3,000lb PWL with seawall mount. 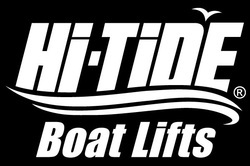 We are proud to be a Hi-Tide dealer, because we believe they have the absolute best products on the market. The quality and design is unsurpassed. 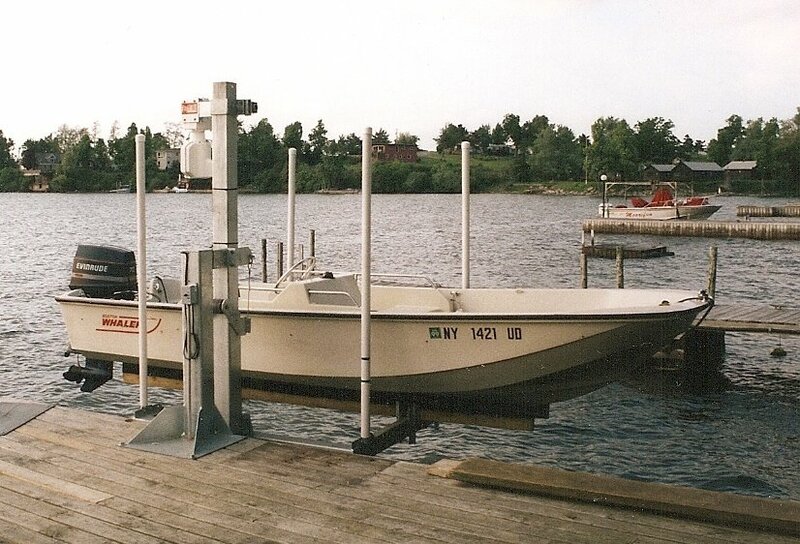 Remote controls, catwalks, and transom service platforms are also available. All lifts come with the best warranty in the industry, and are backed by product liability insurance. 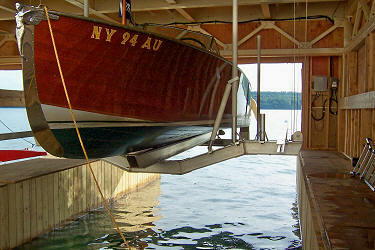 In addition to boat and PWL lifts, we offer aluminum swim ladders and catwalk steps, also manufactured by Hi-Tide.